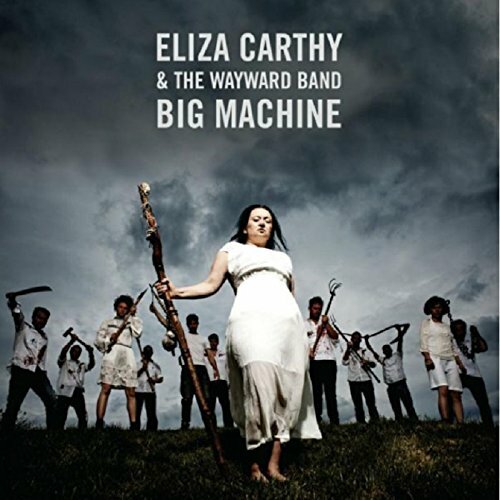 Eliza Carthy & The Wayward Band released ‘Big Machine’ (Topic Records) to critical acclaim in February 2017. The album is undoubtedly one of Eliza’s most adventurous and accomplished works to date and their live show, which features a who’s who of names in the folk world, is equally as impressive, ambitious and exhilarating. First assembled in 2013 by English traditional folk powerhouse Eliza to explore and celebrate her long and varied career in folk music, The Wayward Band loved playing together so much it seemed natural and inevitable that this 12-piece would set about recording an album. Early in 2016 they did just that and ‘Big Machine’ was the result. The material on the album, which was produced by Jim Sutherland, represents a healthy slice of everything good that is happening in traditional music now, across a sparkling spectrum of sound. The album features three contemporary songs; Eliza’s own “You Know Me” featuring MC Dizraeli, a powerful cover of Ewan MacColl’s Radio Ballad “The Fitter’s Song” and an affectionate reworking of “Hug You Like a Mountain”, re-imagined here as a duet with Teddy Thompson. Added to that a couple of searing instrumentals and a heart-breaking traditional ballad “I Wish that the Wars were all Over” featuring Irish superstar Damien Dempsey.